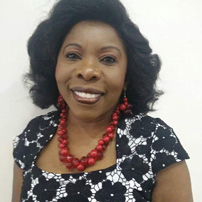 Idda is a Registered Nurse and a practicing Midwife, But she is also a successful Pre-school & Nursery owner. shares platforms speaking to high school students about future employment, especially in her beloved industry. Her success in Early Years led Idda to teach Early Reading to children in her nurseries, and write a book; “To Read Is To Succeed” (7 Amazing Steps To Inspire Your Child To Start Reading From The Age Of Two), due to be published in March 2017.